So today January 25,2016 I made a call to the Academy Awards Los Angeles office after seeing this video by Jada Pinkett Smith. With all this talk about the snubbing of people of color in Hollywood and lack of diversity I made a decision…that in order to see change you must be the change (I believe Ghandi penned this sentiment)! 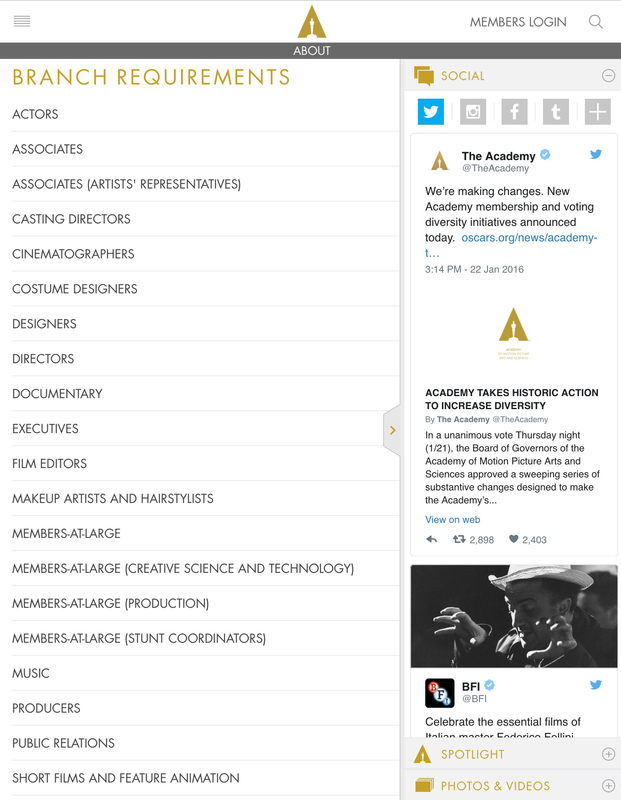 So if the Academy Awards members and their current President want to hone in on diversity with all the talk about CHANGE let’s go!!! 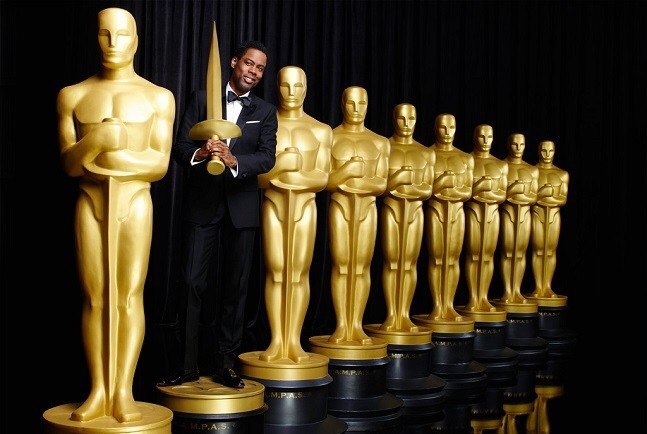 I challenge myself and The Academy Awards Membership drive this year!!! I have nothing to loose really. I wasn’t a part of their membership before so, it would not hurt me either way BUT, it would challenge the paradigm to shift in some way. I’m not going to be on some picket line, or march, or pleading campaign. I know who I am and part of who I am is an Artist and a connosueir of the Arts. I have close to 30 years of experience and work in the entertainment industry. I’ve worked in just about every medium of professional entertainment as a Makeup Artist…the resume and portfolio speaks for itself. So, I went online first and submitted a formal inquiry letter and submitted it along with other important information so I may receive some form of correspondence. 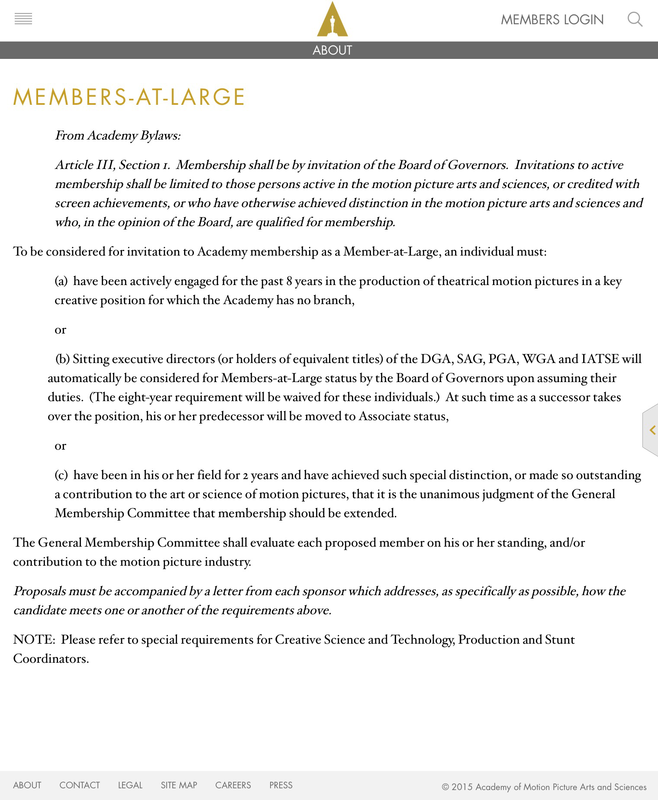 Now after looking through the Academy website and seeing an official public letter from the President of the Academy that I’d posted on my personal Facebook homepage I’m stoked! I want to hear from them. And somehow someway I know that I will shortly. When I called I got an answer right away and spoke with two young men. I was transferred to the Membership Department. 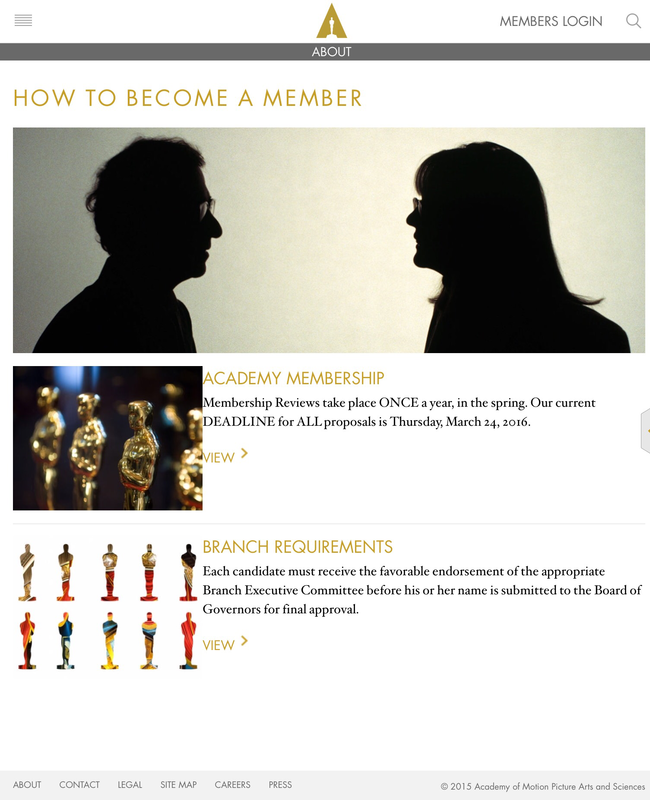 I spoke with this gentleman who was quite helpful and walked me through the Academy’s website and explained to me the the membership procedure. I was always under the impression you had to have an application you filled out and submitted. I was told that that is not how it works. How it works is you mus be SPONSORED by at least 2 Academy Members in my Branch Category (so that would be Makeup & Hair). I would have to meet the requirements listed on the website and have a letter of recommendation from those that would be sponsoring me. 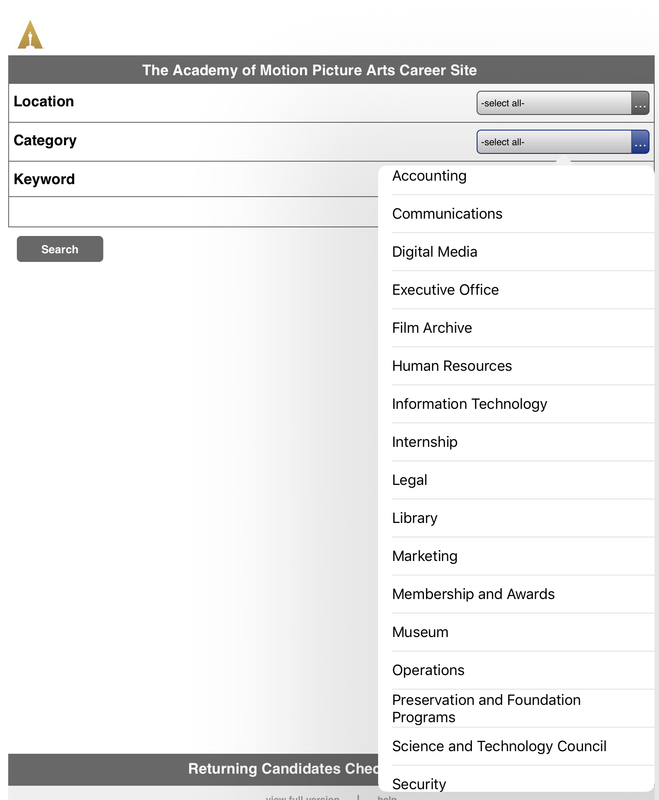 As you can see by the list there are indeed 17 branches (Categories) of the Academy Membership. Each one has different requirements. 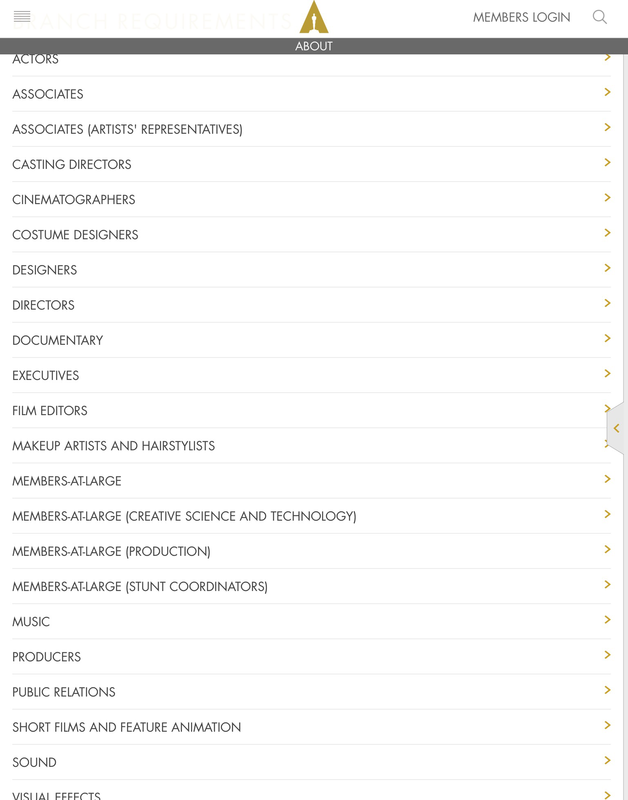 The branches cover all aspects of the film industry Artisans Departments. 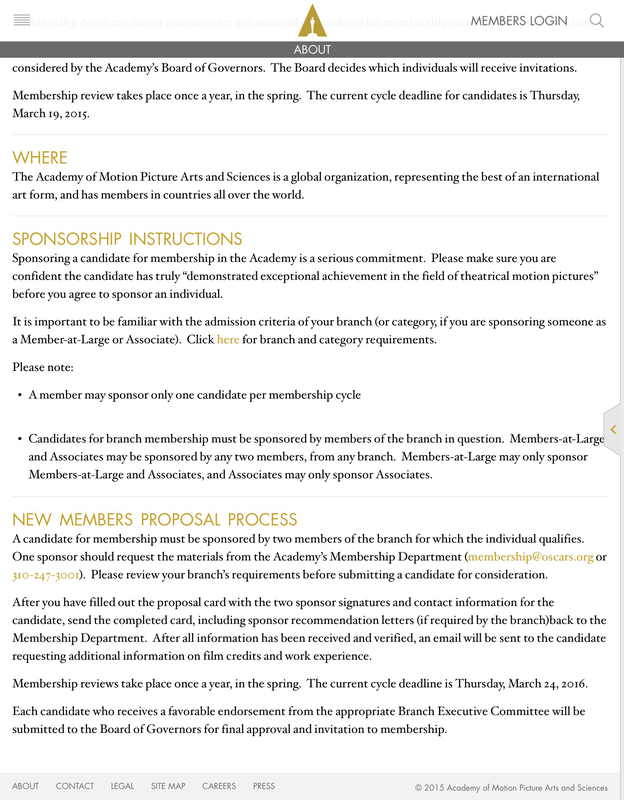 Apparently on the site there appears to be no mention of fees at the onset of membership inquiry. I have to admit I’m getting a rush from the though of challenging myself in this way for whatever it’s worth to anyone who may be effected by a vote for their work or even a consideration. So what I’m seeing here is this system is truly comprised of voting by ones qualified peers. But now if we are addressing the issue of diversity and peers according to statistics the membership does not reflect the diversity it should to have a fair and balanced outcome for winners in their respective branches and additional categories. 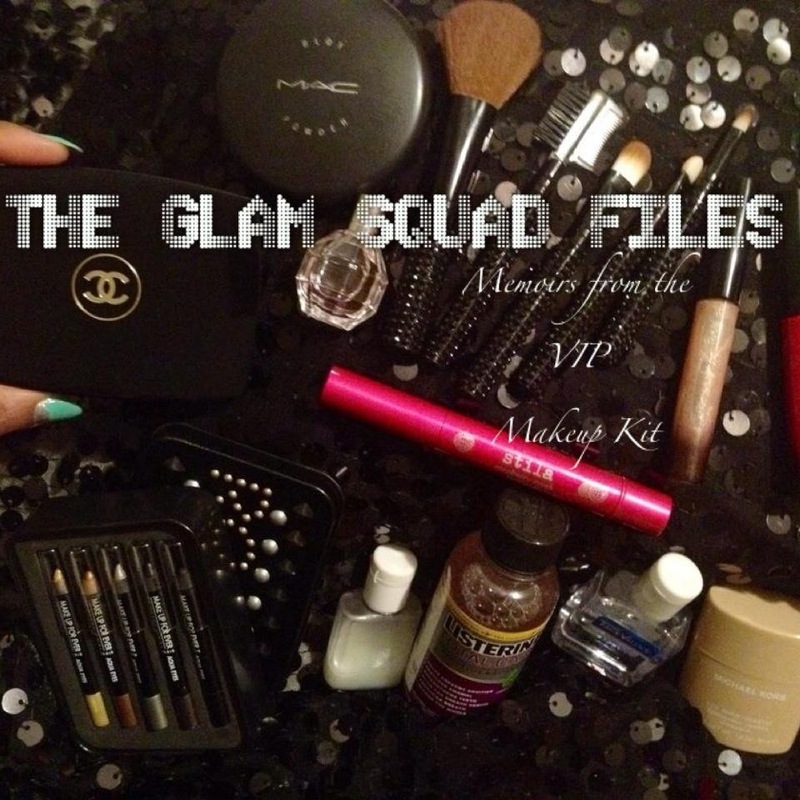 So here (below) is the category of Makeup Artists and Hairstylists. 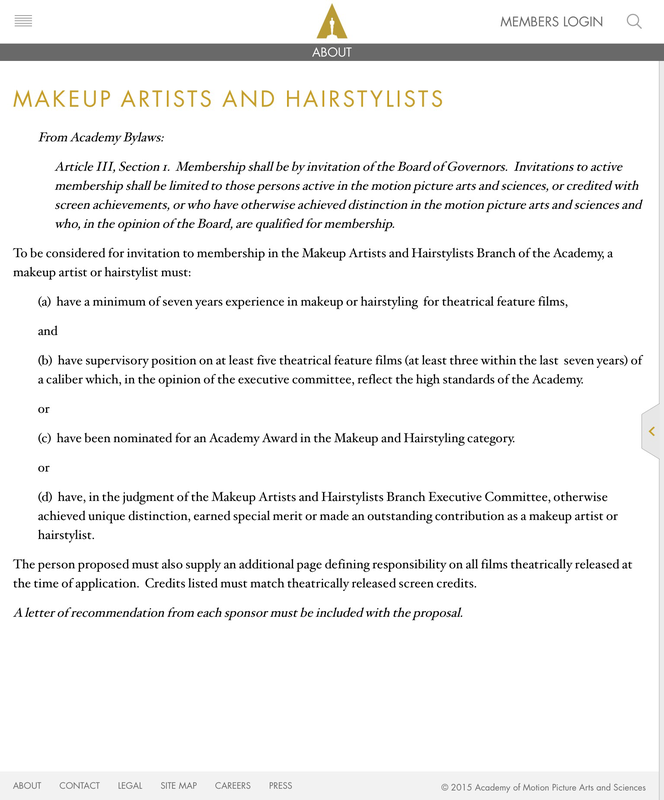 Well according to what is written here with regard to my qualifications would lean more toward the “awarding of unique distinction, special merit, or outstanding contribution as a Makeup Artist or Hairstylist”. Here is a list of Careers if you’d like to apply. For employment at the Acedemy Awards offices. I believe if the opportunity presents itself then one should sieze them with both hands to grab it and not let it go and both feet to walk forward. Either be a game changer or a complainer! Let’s go! !